I've had several requests to show how I do my manicures . . . so here we go. Apologies as this is very picture heavy. Firstly I remove any old polish. I use OPI Expert Touch polish remover and find it's not too drying for my cuticles. Next I use a lint free cloth (also OPI Expert Touch) to finally remove any residual polish around my cuticles. These are my everyday tools. Nothing fancy just a 4-way buffer, an orange stick and some clippers. This is a new addition to my essential tools - a buffing orange stick - what a brilliant idea! Next I use Sally Hansen's Instant Cuticle Remover which I leave on for about a minute, then scrape around my cuticles and push them back. After rinsing this off I go back to my buffing orange stick and clean up around my cuticles. Now the fun part - choosing a polish! 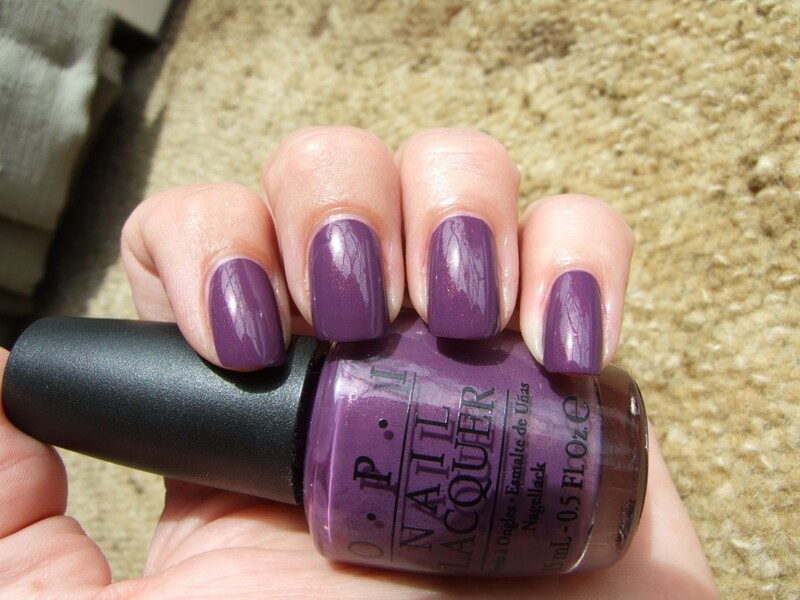 Today I've selected OPI Dutch 'Ya Just Love OPI and this is my first time using it. Picture #3 shows the first coat, which is actually pretty streaky. On to the clean up stage - I ALWAYS do this as I go. My go-to tools for this are a small paint brush and my orange stick. Any polish I get on my cuticles I remove instantly with an orange stick dipped in some polish remover. This polish pump is by far the best investment I've made. It's easy to use one handed and dispenses only a tiny amount of polish remover at one time. My little finger shows a small amount of polish on my cuticles which isn't a major - but the perfectionist in me has to clean it up! So now we apply the second coat and clean that up also. I just dip my paint brush in polish remover and sweep it around the tops of my cuticles making sure that I wipe of any accumulated polish on a paper towel. If you don't wipe it off then your job becomes twice as messy as it spreads all around the cuticle! I don't have any tips for painting my right hand (I am right handed) other than practise! The two middle pictures show my right hand first coat and second coat and clean up. I always topcoat with Essie Good to Go - even if I'm going to stamp straight away. Adding a topcoat means that I can get on with whatever I'm doing (within reason!) without chipping. I highly recommend this topcoat. I can unload the dishwasher 5 minutes after applying it without any major damage. It also means I can polish my nails right before bed and don't end up with a sheet impression. Also if I topcoat before stamping and the stamping doesn't work out, I can gently remove the stamping and my manicure underneath is almost intact. On to the photographing stage - this is my photo in it's original untouched form. I usually try and find a sunny spot although these days the sun is a bit scarce. And the finished result . . . I've rotated the picture a bit and added my watermark. I know everyone has their own way of painting their nails, but this is my usual method. I hope you've found this informative and it answers a few questions. Fantastic tutorial- very thorough! It's nice to see all the steps you go through, right up to posting a photo. I love Essie Good to Go, too, and use it as an every day topcoat. Thank you. I love Essie Good to Go - by far my favourite! Wow I don't do clean up until after I'm all done polishing. Maybe I should do it as I go like you but think it may take me too much longer to just do my base color! I'm lazy and really need to do a cuticle remover! Otherwise our steps are very similar! Thanks for sharing! Your manicure is very neat, I love it!